The Merkur Long Handle razor 180 is one of the best shaving products for new and seasoned wet shavers. Those who are just starting to wet shave will enjoy using the 4-inch handle as it makes the transition from disposable cartridge razor a lot simpler. It is also one of the most affordable safety razors on the market. This razor is designed with a long handle and a removable head, and the latter makes it quite easy to clean. The Merkur Long Handle Safety Razor 180 does not come without flaws. This article will cover the pros and cons of this product exhaustively. 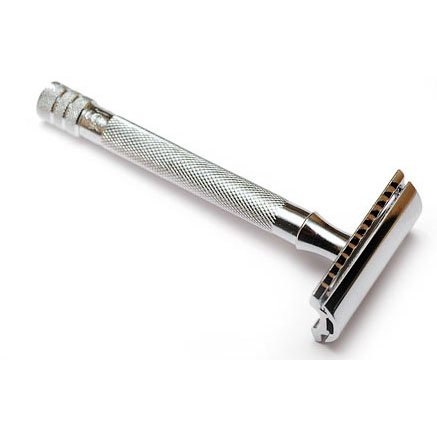 What Are the Main Features of the Merkur Long Handle Safety Razor 180? It has a 4-inch handle. It has a chrome-plated finish. The entire product weighs 60 grams. It is a 3-piece razor. Your purchase will include one blade. What’s Good about the Merkur Long Handle Safety Razor 180? There are many advantages of this product, the most important being the long handle. This allows you to transition easily from cartridge razors. If you are tired of spending a lot of money on cartridge refills, you can turn to this product to make the change less intimidating. To ease the transition even further, you can purchase a razor with a guard. People with thicker beards will particularly enjoy the enormous savings they will make with this razor. Such people would need to refill their cartridges frequently and can end up spending a lot of money. Being a high-quality product made in Germany, this product will only need to be paid for once. It lasts for a lifetime since it is very sturdy. The only things you will need to replace are the blades, and these are quite cheap. The manufacturer has also added chrome plating to these products to make them rust resistant. Most people shave in damp environments and will, therefore, appreciate this feature. This product also has a cross-sectional metal grip. It is, as a consequence, very hard for it to slip out of your hand. The metallic surface also improves its overall look. As you would expect, the handle of this product is longer than average. This makes it feel very comfortable when held in the hand. This razor weighs 60 grams, and this makes it slightly heavier than the average alternative. The weight is perfect for this product since it has a long handle. It makes it easier to control and maneuver. The replacement of the blades is quite easy with this product. Being a three-piece safety razor, the moving parts are few. That means there is a lower chance of anything breaking when you change the blades. Of course, changing the blades is not as easy as a two-piece safety razor or even a twist and open device. Finally, this product delivers high-quality close shaves. This will not surprise anyone who has ever used Merkur razors before since the brand is well-known for the quality of their shaves. 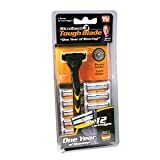 It even delivers better results than many electric or cartridge razors. Although Merkur long handle safety razor 180 is a great product, it has its flaws. One of the biggest of its setbacks is the fact that the chrome layer will chip off at some point in the future. It is not as durable as stainless steel. Your razor may eventually fail to offer protection against rust. Since the product is metallic, it is also important to note that it retains heat. It can easily burn your hands or face if you use it when hot. Experienced wet shavers will also not enjoy the fact that the razor is not adjustable. Users have to use it at a constant 30-degree angle. New wet shavers, on the other hand, will find this highly convenient. With this safety razor, you will get close shaves. However, you have to switch to short strokes and will end up spending a long time shaving. Other devices can deliver high-quality close shaves in much less time. That being said, many people find wet shaving a pleasurable pass time activity and will not mind the extra time spent. Finally, the product only comes with one blade. Is the Merkur Long Handle Safety Razor 180 for You? They have larger than average hands- Such people will find the long handle comfortable. 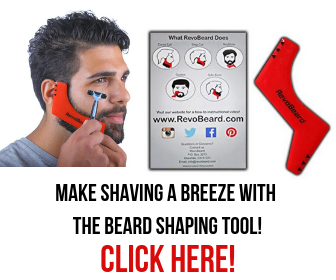 They intend to save money- The razor itself is highly affordable. Replacing the blades is not nearly as expensive as refilling the cartridges in other devices. They enjoy wet shaving as a pass time activity- This is because you will end up spending more time shaving, especially if you are interested in a close shave. They have thicker body hair- Such hair will be a lot more expensive to shave with a cartridge razor. Users should also be able to store this product well since it will only resist rust for some time. Once the chrome layer chips off, your razor can rust easily. You should, therefore, store it in a dry place. There are many manufacturers of wet shaving razors. Merkur is one of the most famous brands in this industry. It is best known for making products that deliver close shaves. There are many advantages of the Merkur Long Handle Safety Razor 180. As noted in this review, the shaver has a long handle that makes it easier to maneuver, particularly for people with larger hands. Also, it is heavier than the average razor, so it will balance well in the hand. The metallic body looks great and also offers a better grip on the razor. At the end of the day, you will also save a lot of money with this product since the replacement blades are very cheap. You should consider buying this safety razor for your body shaving needs. If you have any knowledge of this product, do reach out through the comment section below. Previous story Colonel Conk Shaving Soap Review – What’s So Good About It?